Want to earn some extra cash or declutter your home? Here are some selling apps to get you started. 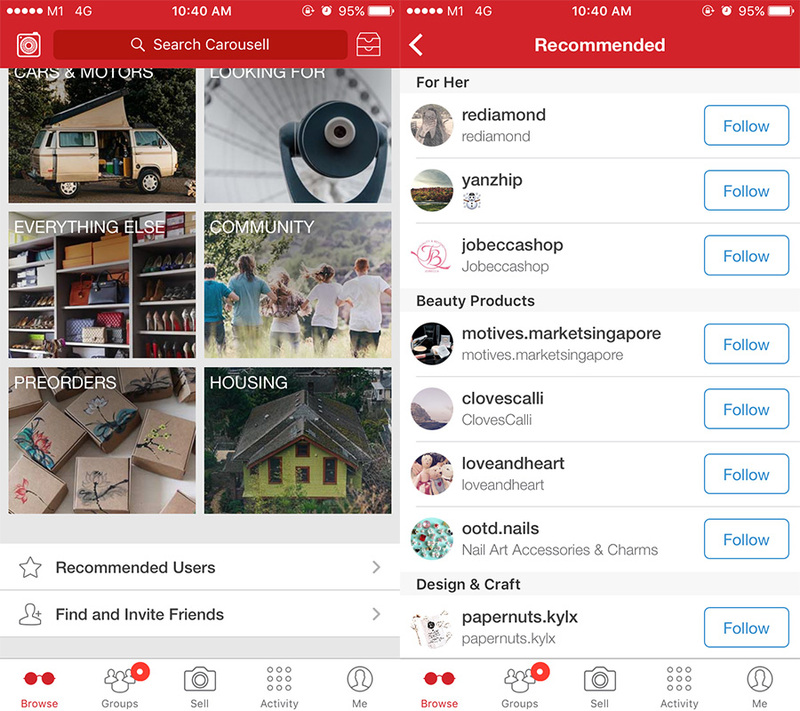 Carousell really needs no introduction, since it’s one of the most popular marketplace apps in Singapore. Selling items on Carousell is quite straightforward, as you just have to snap a few pictures of your item, add a description and price, then list it on the app. Potential buyers can chat with you through the app, and you can negotiate the price and terms with them. Want to give your listings a boost? See here for some helpful Carousell Hacks. What’s Great: A good number of people use Carousell, so sellers can reach out to a very wide (albeit varied) group of buyers. The chat function allows you to communicate with potential buyers through the app, which is great because you don’t exactly want to reveal your contact details to strangers right? There are also no selling fees and listings do not expire (until you mark the item as sold). What’s Not So Great: If you’ve used Carousell you would know that low-ballers and flaky buyers are aplenty in the community. Also keep an eye out for potential scams or counterfeit items. See here for a roundup of the worst types of buyers on Carousell. Best For: Casual sellers who want to hawk their secondhand clothes and shoes, used cameras and erm, makeup (hey, if the price is right…). Shopee is not as well-known around here as Carousell is, but it seems like a better platform for more serious sellers. The app has more advanced features, such as detailed listings (which include the item condition, stock quantity, shipping methods and expected shipping time) and a payment platform. Shopee acts as the middleman between you and the customer, so you don’t have to worry about flaky buyers or misunderstandings about the selling price. What’s Great: It’s pretty straightforward to create a listing, as the app prompts you for all the information needed. 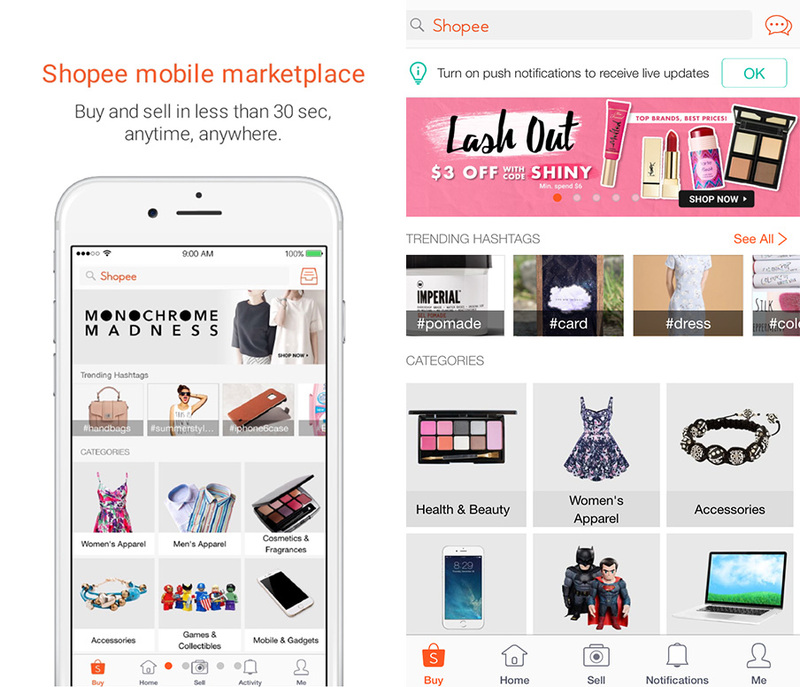 The payment system also makes the shopping experience more secure for both buyers and sellers, as Shopee holds the payment until the deal has been closed. What’s Not So Great: The app limits you to local listings only, so you can’t sell your item to a seller overseas. Also, there aren’t that many people in Singapore on the app yet, so it might take some time before you get an interested buyer. Best For: Small business owners who need a more secure platform to sell their stuff. Also good for people who like to do beauty or clothing sprees. 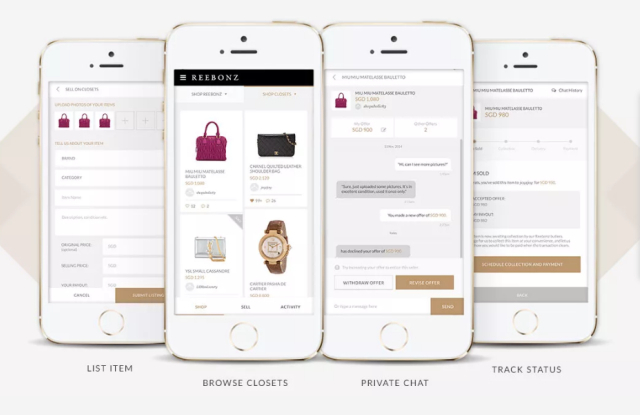 Reebonz Closets is sort of like the more upscale version of Carousell, as it caters to those looking to buy or sell pre-loved luxury items. The app offers free pick-up, authentication and delivery, so it’s quite a fuss-free option for busy (or lazy) sellers. Listing an item is free, but Reebonz Closets charges a 10% commission fee on your selling price once the item is sold. The app also allows you to chat with potential buyers, but you can’t exchange contact information as the system will block out any mobile numbers or email addresses. What’s Great: Sellers can reach out to a large and targeted group of buyers that are looking for pre-loved luxury handbags. Besides added services like free pick-up and delivery, Reebonz Closets also offers authentication services. Payment is made through the app, so you don’t have to worry about getting scammed by dodgy buyers. What’s Not So Great: The high commission rates and strict authentication standards. This really isn’t the place to sell that fake Furla bag you got off Taobao. Best For: Selling pre-loved designer bags from premium brands such as Chanel, Hermes, Prada, Louis Vuitton and Dior. The commission rate for sellers is quite high, so it’s only worth it for more expensive items. If you’re a DIY or vintage-sourcing guru, Etsy is the right place to hawk your wares. You need to start your store through Etsy’s website, but after that you can manage everything else through the Sell on Etsy app (not to be confused with the regular Etsy app). 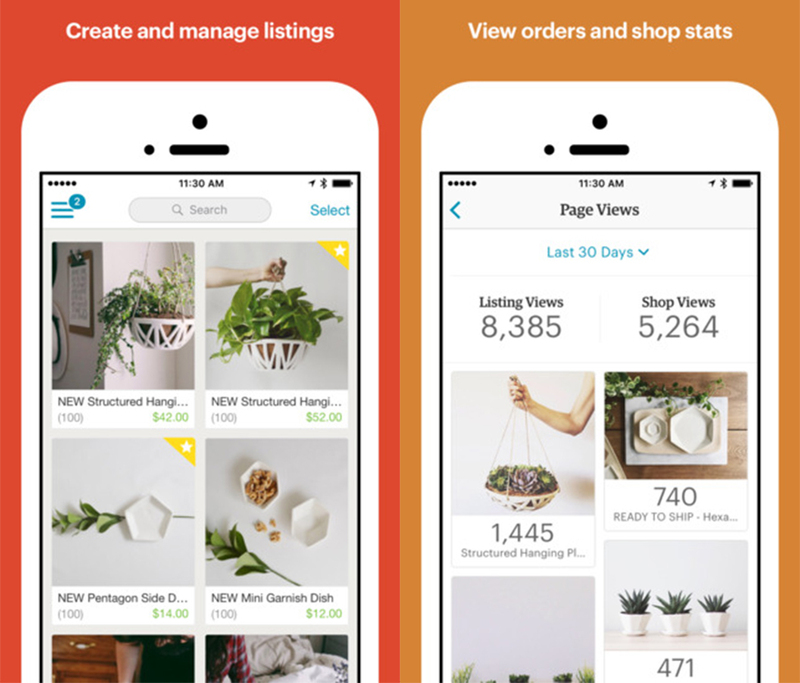 The Sell on Etsy app provides a professional platform for sellers to list items, check statistics, drive traffic to your website and reach out to a targeted group of buyers. Etsy charges a listing fee of SGD 0.27 per listing, which keeps it active for 4 months or until the item is sold. The app also takes a 3.5% commission from your sale, and additional charges are applicable if you opt to use their PayPal payment platform. What’s Great: The app offers a low-risk professional business management system, and also allows sellers to reach a targeted group of buyers. What’s Not So Great: Sellers have to pay a commission and listing fee, and listings are only active for a limited period of time. Best For: Small business owners who specialise in handicrafts, bespoke items and craft supplies. 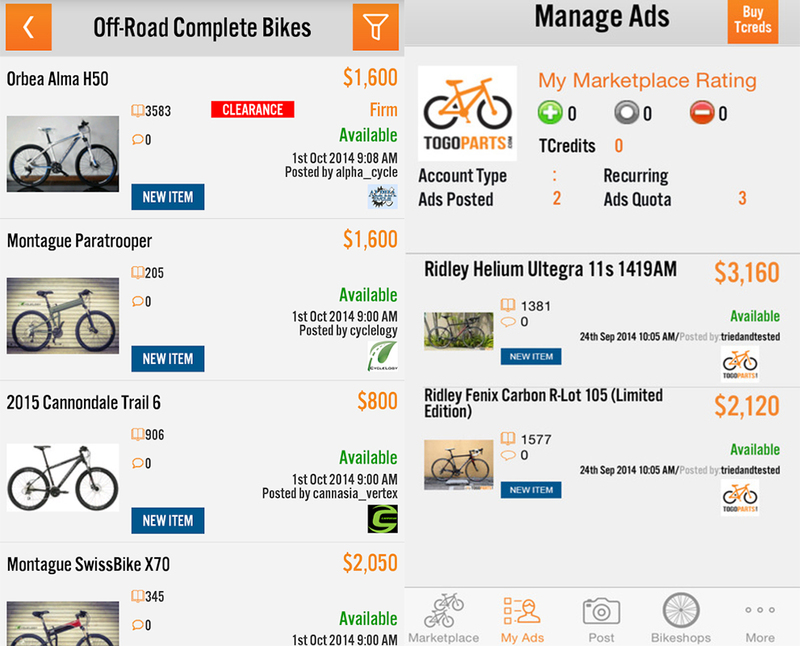 ToGoParts is a go-to classifieds website for anything bike-related, and the app is just an extension of the site. Sellers can list their item and contact information through the app, and potential buyers can contact them directly. Posting a listing on ToGoParts is free, but sellers can also purchase credits to promote their listings. Besides bumping your ad to the top of the search results, promoted listings also get highlighted in the marketplace. What’s Great: It’s free to list and sellers can reach out to a large group of bike enthusiasts. What’s Not So Great: There are quite a number of listings on the app, so it’s easy to get lost in the crowd. Gumtree is more of a general classifieds site, but they do have an app where you can post listings as well. 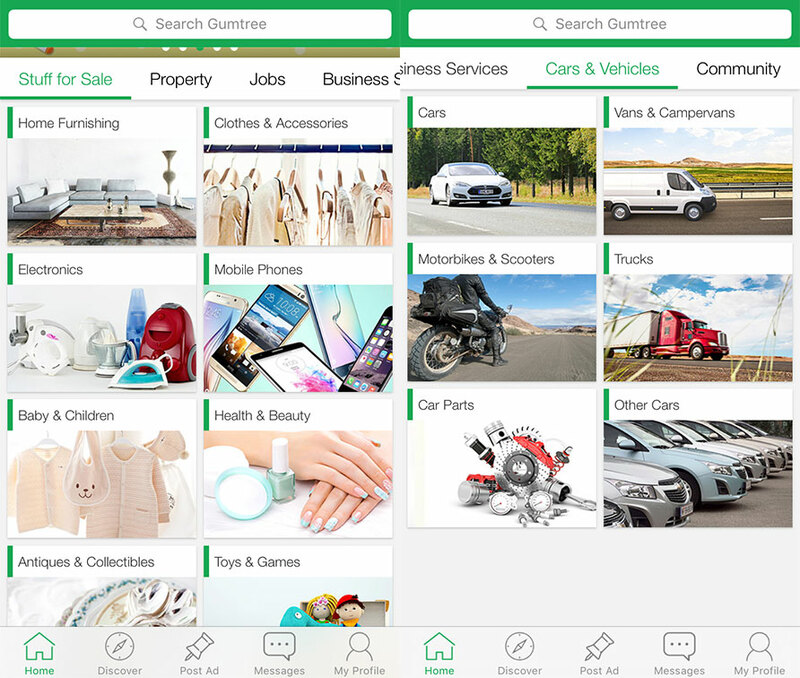 Besides the usual items like furniture or electronics, sellers can also list properties, vehicles and even business services through the app. There is also a Community section where you can list events, classes, lost and found items, pets and even carpooling services. What’s Great: It’s free to list an item or service, and the app offers a broad range of selling categories. What’s Not So Great: The app doesn’t have a chat function, so you might need to list your contact details for buyers to contact you. There are also tons of listings on the site, so you need to put in the effort if you want your listing to stand out. Best For: Selling old furniture or electronics. Also, if you want to offer any casual (non-dodgy) services. 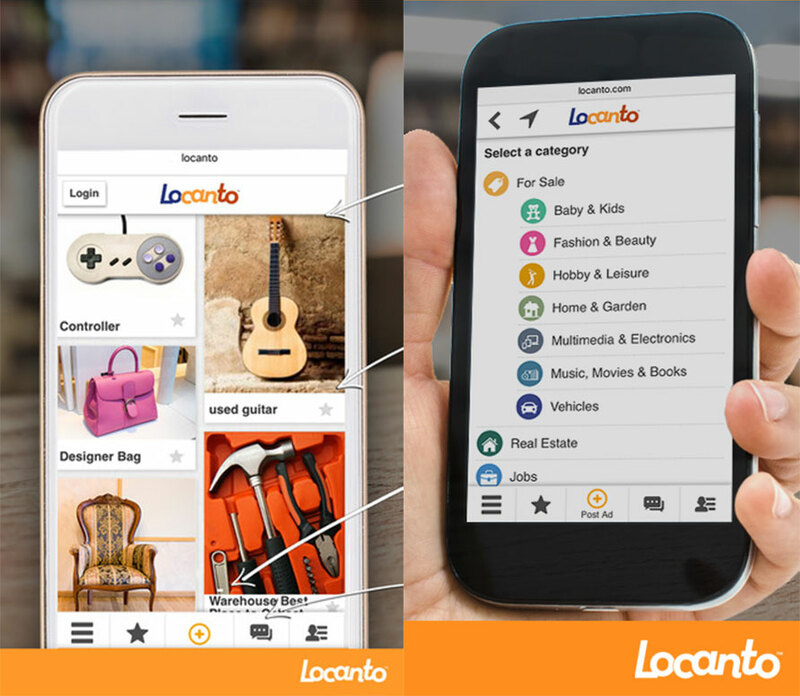 Locanto is similar to Gumtree, in the sense that it’s basically a classifieds site with an app extension. Sellers can list almost anything on the site, from brand new computers to classic cars. There is also a section where you can list jobs, professional services, and uh, personal ads if you’re looking for love (or more?). What’s Great: It’s free to post a listing and the site automatically renews it every few months. There are also a broad range of categories for sellers to list on. What’s Not So Great: You’re pretty much on your own out there, so be careful about any private details you post on the site. Best For: Selling electronics and appliances, secondhand baby stuff (i.e. strollers) and furniture. Thank you for sharing the best selling app in singapore.. I am very glad to visit your site. I like the way of your presentation. It’s really an informative post you have shared here.